Stan Laurel and Oliver Hardy were part of Hal Roach's Comedy All Stars when filmmaker Leo McCarey had an inspiration—to team them up. 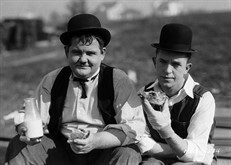 McCarey served as the team's supervising director in the late silent era and he and Laurel developed the classic Laurel and Hardy slow-burn style that made them stars worldwide far into the sound era. As the brilliant new film Stan & Ollie—starring Steve Coogan and John C. Reilly—prepares for an early 2019 release, it's time to check in with the comedy duo that inspired it. The program includes BIG BUSINESS (1929, d. James W. Horne, Leo McCarey), LIBERTY (1929, d. James W. Horne, Leo McCarey), and THE FINISHING TOUCH (1928, d. Clyde Bruckman, Leo McCarey). Inspired by a true story in ripped-from-the-headlines style, The Red Kimona was the third in a trilogy of social-issue dramas by actress/screenwriter/director Dorothy Davenport. The story of a small-town teacher lured into prostitution was adapted for the screen by Dorothy Arzner from Adela Rogers St. John’s sensational story, and produced and co-directed by Davenport (as Mrs. Wallace Reid). Gabrielle (Priscilla Bonner) is a young naïf who’s swept off her feet by a Lothario, who abandons her in New Orlean’s red-light district. When she sees him buying an engagement ring for another woman, she shoots him dead. At trial Gabrielle becomes a cause celebre—and the pawn of a self-aggrandizing socialite. 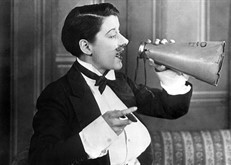 One of legendary stage actress Beatrice Lillie’s few films—the superbly comic Exit Smiling, her debut and her only silent—demonstrates why theater audiences found her so captivating. Lillie’s character works wardrobe in a touring theatrical company—“Violet, the drudge of the troupe”—and she’s determined to break into the limelight. A talented crew in front of the camera (Jack Pickford, Franklin Pangborn in his feature debut!) and behind (writer/director Sam Taylor was a veteran of some of Harold Lloyd’s best comedies) adds nuance and grace to the hilarity. The portrayal of low-rent theater life is beautifully realized, with the seedy small-town halls, crummy dressing rooms, and camaraderie that come with the theatrical calling. Print (35mm) courtesy of the British Film Institute with permission by Warner Bros.
One of three titles nominated for Best Picture at the very first Academy Awards, 7th Heaven helped to establish Fox Film Corporation as a major studio. 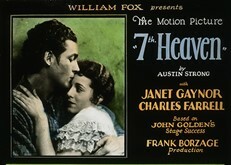 Although it lost to Wings (the category was called Outstanding Picture at the time), director Borzage took the top prize for directing, star Janet Gaynor for acting, and screenwriter Benjamin Glazer for adaptation. Set in Paris on the cusp of WWI, 7th Heaven is the story of two ordinary people who become involved by chance, separated by war, and transfigured by love. Beautifully photographed and supremely romantic in the telling, 7th Heaven was the first pairing of Janet Gaynor and Charles Farrell, who would become the romantic duo of the era. 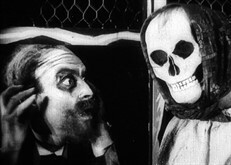 USA, 1927. 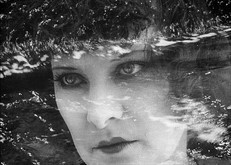 Directed by Frank Borzage. With Janet Gaynor, Charles Farrell, Ben Bard, David Butler. 110 min.